If you live in the Hamilton and surrounding area and are looking for used motorcycles for sale in Hamilton, feel free to visit our Budds’ Motorrad dealership in Oakville today. We have a friendly team of knowledgeable client representatives who would be happy to take you on a tour to view our large inventory of new and pre-owned premium motorcycles. If you prefer to view our online gallery of used motorcycles for sale from the comfort of your own home in Hamilton, our user-friendly website makes finding high performance motorcycles easier than ever before. Our website offers many features that will make choosing your dream bike simple and enjoyable! To gain a better understanding of how our top quality technology and vehicles are designed, visit our Technology in Detail selection on our website menu. 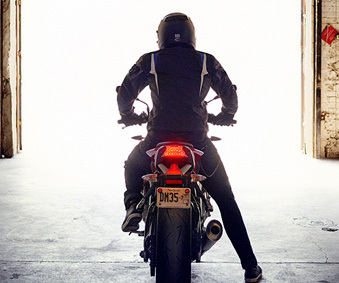 From there, you can discover the types of engines, suspension, safety features, and navigation systems that are offered when you are searching for a pre-owned motorcycle. When you are searching for used motorcycles for sale in Hamilton, you don’t have to worry about the quality or longevity of your BMW bike with Budds’ Motorrad. Our team of expert engineers thoroughly inspects each pre-owned motorcycle before it enters our showroom to ensure that each of our certified vehicles surpasses industry standards. We strive to exceed our customer’s standards by ensuring the safety of our communities through our 24-hour roadside assistance programs as well as our warranty programs. We also offer regular servicing appointments to ensure that you experience a smooth ride, and importantly, a BMW experience that will last for many years to come. For a complete guide to finding used motorcycles for sale in Hamilton, visit the Budds’ Motorrad website from the comfort of your own home. Our bike overview in our Model Pricing menu will provide you with an idea of the models that we offer, along with pricing and how our financial terms work. We provide examples of estimated payments, whether bi-weekly or on a monthly basis, as well as the duration of our terms and interest rates. However, if you would prefer to sit down with one of our friendly client representatives, please feel free to call us or book an appointment online to come to our Oakville dealership. From there, we can provide you with an exciting test drive experience and discuss financial programs that are available to you. At Budds’ Motorrad, we strive to provide you with the motorcycle of your dreams without having to compromise your lifestyle. We’ve been proudly providing Hamilton residents with used motorcycles for sale in Hamilton for many years at Budds’ Motorrad in Oakville. Don’t hesitate to contact us today with any enquiries that you might have. We’re here to help you!